There is a crazy rumor running wild around the Internet today that Microsoft is positioning itself to bring back its old Zune ‘squirting’ ways. Not exactly in the same way though, more advanced and throughout its ecosystem of devices. On Twitter, a tweet from @ms_nerd started a wildfire of speculation that Microsoft was bringing a feature called ‘beaming’ that would allow the user to share files within their Windows ecosystem that include Windows 8, Windows Phone and Xbox. For those of you that owned the now ancient Zune 30, it allowed you to send music to another Zune via WiFi nicknamed squirting. 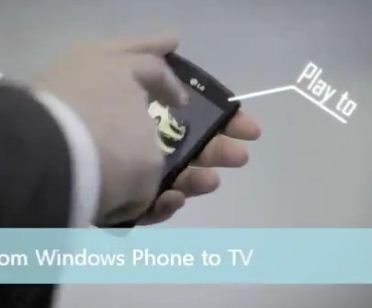 This however suggests that ‘beaming’ will allow music, pictures and documents to be sent throughout Microsoft’s 3 screen strategy (Windows, Xbox and Windows Phone). Liveside spotted this video from Microsoft that kind of demonstrates that technology. Written by: Hyde13 on December 7, 2011.